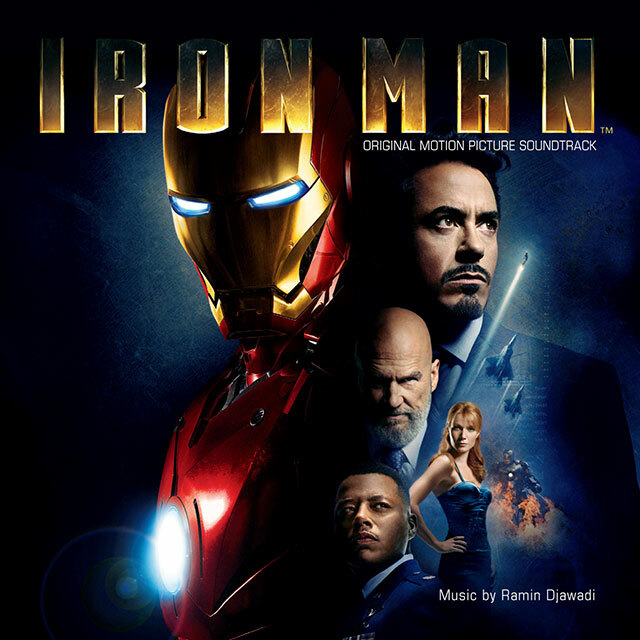 Ramin Djawadi’s powerful, pulsating, contemporary score to Jon Favreau’s superhero blockbuster, starring Robert Downey Jr and Gwyneth Paltrow. The story about Tony Stark, a wealthy industrialist who invents a fabulous suit-of-armour, first to save himself, and then to fight against the evils of the world. This release includes the previously unreleased 1960s theme from the animated TV series and a bonus track from California thrash giants Suicidal Tendencies. Emmy Award-winning composer Ramin Djawadi delivers a recognisable and dramatic soundtrack, featuring distorted and processed guitars and electronics interweaved with punchy drums and string sections. Djawadi, a brilliant guitarist and Berklee College of Music graduate, has written scores for Blade: Trinity, Ask the Dust and Open Season. Belonging to the younger generation of up and coming film composers, Djawadi’s career started with his highly successful collaborations with Hollywood heavyweight Hans Zimmer on Pirates of the Caribbean, Batman Begins and Thunderbirds. Also a prolific TV composer Djawadi’s TV credits include Game of Thrones, Blade: The Series, Threshold, and Fox’s hit TV series Prison Break.